Fellow Sioux landers! I found out we were going to Bob Roes Point After on Transit Ave, Sioux City. As soon as I realized this, the first thing that popped in my mind was the pizza, wings, and atmosphere. The overall feeling however was pure excitement to try something new that I had heard so much about. Before getting to the restaurant, I talked to numerous people and asked for suggestions of what dish that they would recommend. Almost every person I had talked to highly recommended the pizza, wings, or both. Considering Bob Roe’s has been serving Sioux land for over 30 years I have a little amount of doubt that this was going to be a good experience. 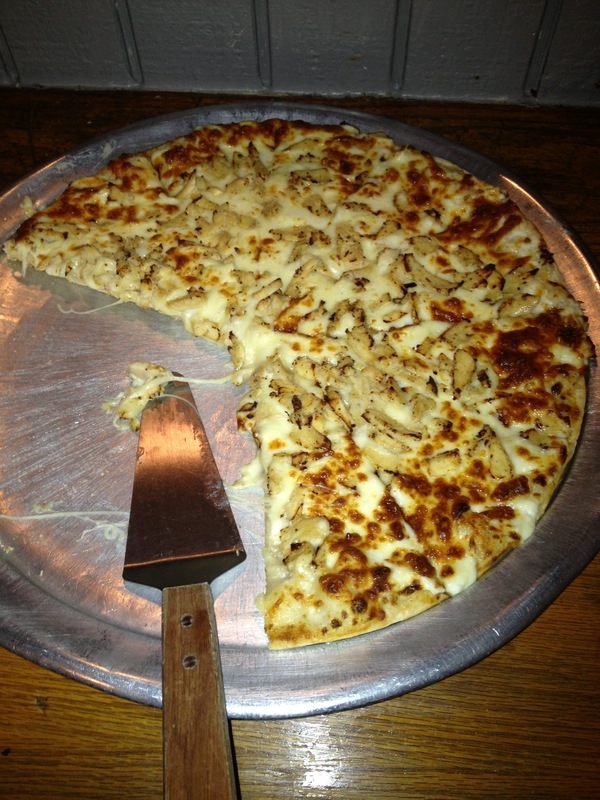 When we arrived at the restaurant I ordered a jumbo chicken Alfredo pizza. Most chicken alfredo pizzas that I have had have only been decent, but the pizza was absolutely delicious. It was not too greasy with the perfect ratio of chicken to alfredo along with delicious cheese to top it off. Some restaurants give you the least amount of food possible while Bob Roe’s gives you your money worth. That moment when you eat to your stomachs extent was reached while I was enjoying this jumbo pizza. While the pizza was more than satisfactory, I couldn’t help but envy those around me who had ordered wings. The wings came in a variety of flavors that could satisfy any craving. A friend nearby got the best of both worlds when he ordered a buffalo chicken wing pizza. The pizza had little pieces of chicken scattered across the entire surface of the pizza. Others got a combination of both pizza with a side of wings. While this is a more expensive route, I would say it’s the best one if you are looking for a full experience. However, what really topped off the whole experience was the sports bar atmosphere. The scenery around me reflected a fun, laid back, relaxed atmosphere. This was a place where anyone could come in and feel welcome. Televisions surrounded us showing the currents sports games. While some food establishments have too many televisions that can overwhelm conversation, this had the perfect amount. The service can either make or break eating out for a large group of people. The servers held their own with the large group of people we brought to the table. While the food obviously took longer than if we were to take a smaller group, the food came at the same time, in the correct order, and good temperature. The type of food that I ordered would not have been good cold, so if these servers had not been on their game, the outcome would have been completely different. Bob Roe’s lives up to their reputation of being a fabulous sports bar and grill that will satisfy any appetite any night of the week. I would highly recommend this restaurant to any individual, family, or group of friends looking for a good night out.